This chapter provides various tips for practitioners and researchers who wish to track end-user Web information seeking behavior. These tips are derived in large part from the authors’ own experience of collecting and analyzing individual differences, task, and Web tracking data to investigate people’s online information seeking behaviors at a specific municipal community portal site (myhamilton.ca). The tips discussed in this chapter include: (1) the need to account for both task and individual differences in any Web information seeking behavior analysis; (2) how to collect Web metrics through deployment of a unique ID that links individual differences, task, and Web tracking data together; (3) the types of Web log metrics to collect; (4) how to go about collecting and making sense of such metrics; and (5) the importance of addressing privacy concerns at the start of any collection of Web tracking information. Upon first consideration, employing Web tracking to better understand end-user experiences with the Web seems to be a simple process of installing the tracking software, collecting the data over a certain period of time, and conducting the analysis. However, our own experience in setting up, collecting, and analyzing Web tracking data has shown us that the process is surprisingly more difficult than originally expected. To share what we have learned to help others set up and better utilize Web tracking tools, we have reflected upon what we believe are key tips concerning the use of Web tracking in any Web information seeking analysis. Thus, the overall purpose of this chapter is to discuss the practicalities and usefulness of collecting Web tracking data to help measure and assess the performance and usage of a Website or application, particularly with respect to Web information seeking. Note that the ideas presented in this chapter are grounded in a research project conducted by the authors over the last three years that investigates people’s online behaviors at a municipal community portal site called myhamilton.ca (www.myhamilton.ca). The ultimate goal of the project is to understand the relationships among individual user characteristics such as demographics and personality traits, user attitudes toward and perceptions about accomplishing certain tasks (Web services) online, and actual usage behavior. We believe that an understanding of these relationships will provide insight into how characteristics of the individual, the task, and utilization behaviors affect task performance in an online community environment. We also believe that the capture and analysis of Web tracking data is imperative to reaching such an understanding. The difficulty in utilizing Web tracking data successfully is in knowing how to position its collection and use within the larger confines of Web information seeking analysis. Web tracking is just one tool that needs to be coordinated with other data collection methods to yield a more comprehensive understanding than Web tracking alone could ultimately provide. We begin by providing background on the need to take both task and individual differences into consideration when investigating end-user Web information seeking behavior. To do this, we provide a general model that describes how task and individual differences affect information seeking behavior. Next, methods to conduct a Web information seeking analysis that allows for the collection of both task and individual differences data are presented. 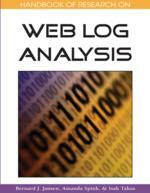 Importantly, these methods include the collection of Web tracking data via the use of Web logs. Using a selective subset of variables from the general model presented earlier, our own myhamilton.ca project serves as a point of illustration. We also provide details with respect to the types of Web metrics to collect and what needs to be done to make sense of these data. Finally, the importance of addressing privacy in any Web information seeking analysis is highlighted. Individual Differences: The demographic and psychological characteristics of people that distinguish one person from another. Information Seeking Behavior: Refers to how people seek information in different contexts (Fisher, Erdelez & McKechnie, 2005). Web Tracking: Refers to the automated collection of Web information seeking behavioral data. Web Metrics: Pertains to the measures by which to assess a person’s Web information seeking behavior or to assess and monitor activity on a Website. Examples of commonly used Web metrics include page views, page transitions, and session times. Task: In this chapter, refers to the information seeking task an individual user experiences that instills a need for information and motivates the user to satisfy this information need through some sort of information seeking behavior. Task is the context surrounding a person’s information need. Web Information Seeking Behavior: Refers to information seeking behaviors that occur over the Web. Choo, Detlor & Turnbull (2000) identify four main modes of information seeking on the Web ranging from wayward browsing to goal-directed search (undirected viewing, conditioned viewing, informal search, and formal search) where each mode is characterized by predominant information seeking moves or activities (undirected viewing: starting and chaining; conditioned viewing: browsing and differentiating; informal search: differentiating, monitoring, and extracting; and formal search: monitoring and extracting).